One of our favorite local authors joins us to continue our celebration of Archaeology Month and the pirate ship Whydah. 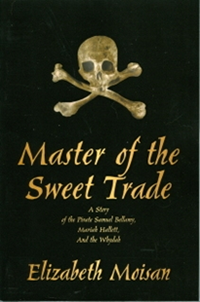 Ms. Moisan conducted extensive research at The Whydah Museum in Provincetown, as well as other places around the Cape. Her work weaves together both historical facts and local lore. Learn the secrets of the author's research and learn more about the continuation of the story, as she's already hard at work on her next novel! Books will be available for sale and signing.